Hello Everyone!! 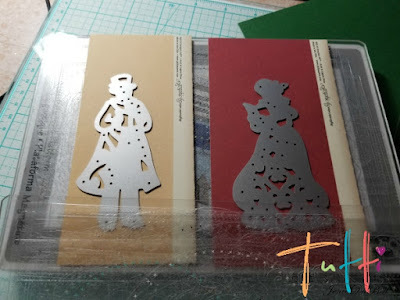 Jenn here sharing my first Christmas card of 2018 using the amazing Tutti Designs Dies! 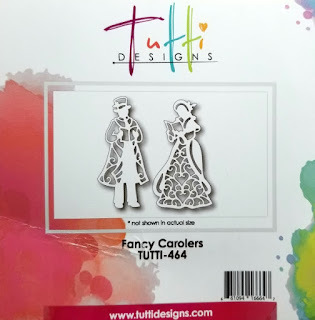 These beautiful caroler dies are part of the most recent release! They are just beautiful! 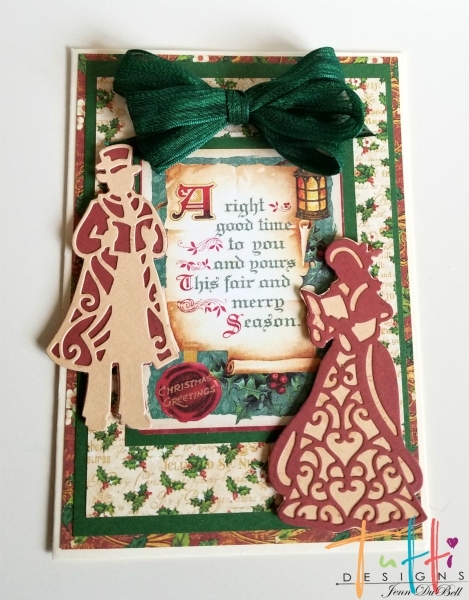 For my card I used designer papers from Graphic 45 in the St. Nicholas and A Christmas Carol collections. I also used a vanilla 5X7 card blank and heavy green cardstock. 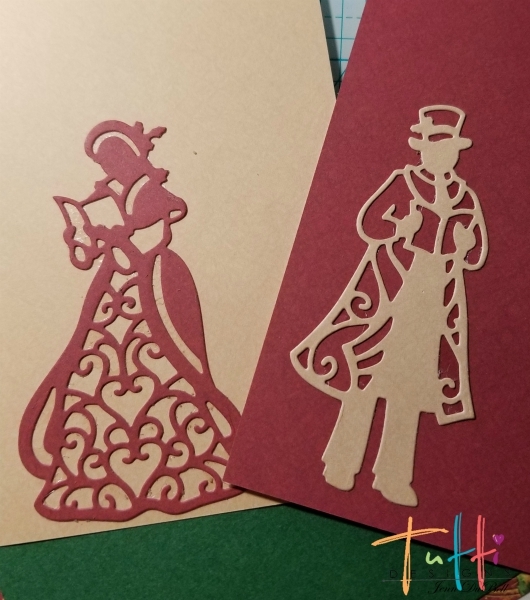 Die cut the carolers using coordinating solids from the designer paper as shown below. Xyron sticker machine for mine. Designer paper - 4 3/4" X 6 3/4"
Green cardstock - 4 1/2" X 6 1/2"
Designer paper - 4 1/4" X 6 1/4"
Matte a 3" X 4" ephemera card with green cardstock 3 1/4" X 4 1/4"
Add Die Cuts and bow! 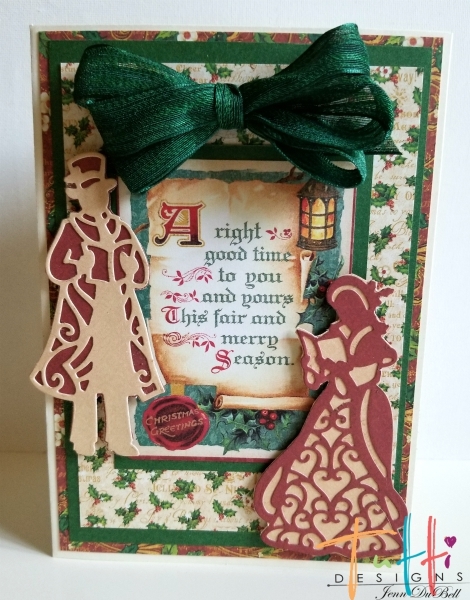 Beautiful vintage Christmas card, Jenn! Oh Jenn this is just fabulous! I love how you've reversed the backing on the die cuts and your design showcases them beautifully! Well done! Thanks for amazing holiday inspiration!